Franck Fleury and his team welcome you to this modern, environmentally friendly Novotel. 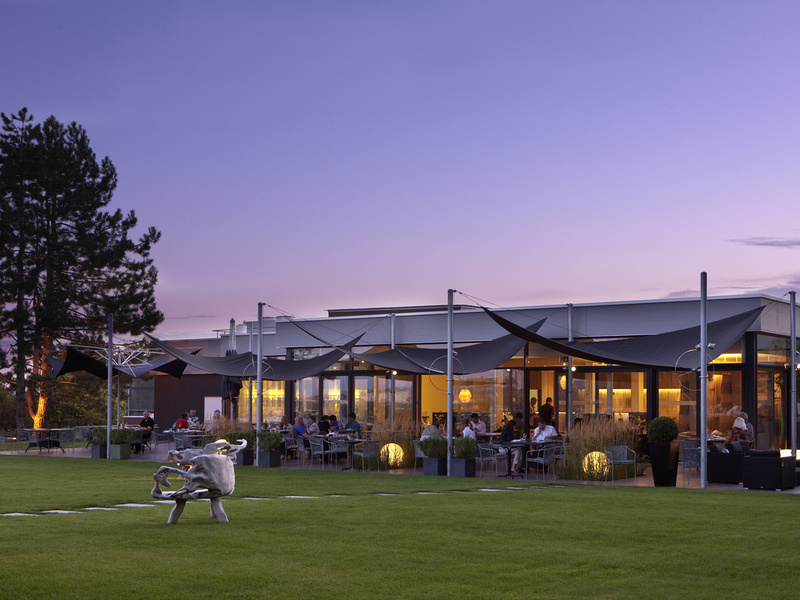 The Novotel Lausanne Bussigny hotel is just two minutes off the motorway, 8km from Lausanne, the historic city centre and the Olympic Museum. Our 141 Novation rooms, feature air-condition and free internet and the Executive rooms have a balcony. Enjoy the welco ming, contemporary atmosphere in our Novotel café and hotel bar. The 4-star hotel features a terrace overlooking a leafy park, a natural swimming pool and a children's play area. Eight high-tech conference rooms with free Wi-Fi. Parking available. Simple and delicious cuisine - healthy and balanced. We cater for every taste, around the clock. Escape your everyday life and take some time to relax in the restaurant, in the bar, on the terrace or in your room. Oda içinde kişisel ihtiyaç malzemeleri çok yetersiz. Restaurantta akşam yemeği yedim menüde seçenekler az. Odanın kliması sıcağa ayarlanamıyor ve de ilave battaniye bulunmuyor.